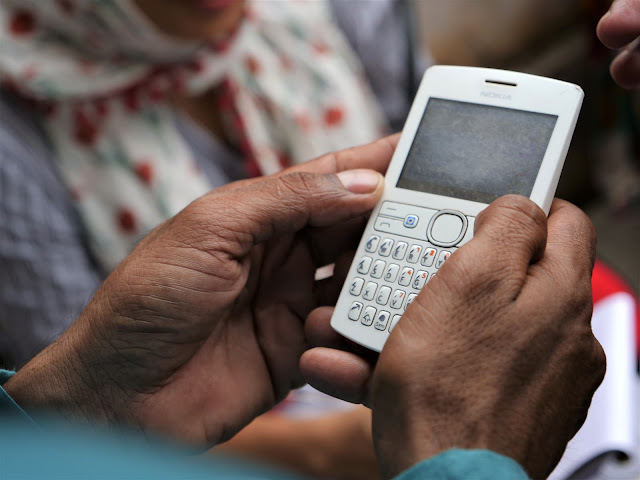 We feature a collaborative blogpost by our Research Associates, Nikita Taniparti and Sneha Mani. Backpacks are a serious business. The color, the size, the functionality, and perhaps most importantly, the brand. While we often underestimate these sleek yet understated accessories, one has only to look at one of our surveyors in the field to discover the latest trend. This is not your run-of-the-mill populism phenomenon. Amma, or more formally known as Jayalalitha, is currently the Chief Minister of Tamil Nadu. What are her political assertions, and her claim to fame? It doesn’t really matter, because the two participating political parties – the DMK (founded in 1949) and the AIADMK (founded in 1972) – were borne out of the same Dravidian ideological tenets. While Karunanidhi spearheads the former’s agenda, AIADMK is synonymous with Amma. The transition from a movement characterized by all-encompassing civil and social participation, to a larger-than-life populist agenda can be traced back to the leading role of cinema and the film industry in Tamil politics. The cinema fraternity was instrumental in propagating the ideology espoused by these leaders. The Dravidian parties all introduced, and heavily emphasized radical reform among their support base. It is no wonder then, that the trajectory of their political careers is marked by over-the-top-imagery and an obsession with symbolic rhetoric and association. Take for example, the Comprehensive Health Insurance Scheme (Tamil: Kapitu Thitam) was first implemented by Karunanidhi (Kalaignar) in 2012, and was called Kalaignar Kapitu Thitam. 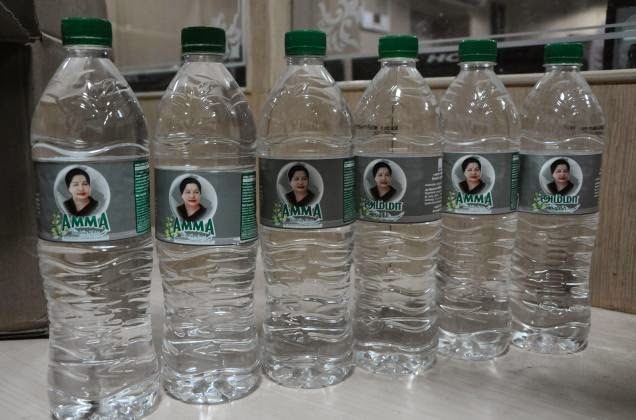 Subsequently, when Amma came to power, the first order of business was to change the name to Amma Kapitu Thitam (note to researchers: while looking for information regarding any Chief Minister scheme in Tamil Nadu, remember to Google both names!). This was the case with many other schemes as well, and they all took Amma’s name to represent the new image of the government. It is important at this point, to ensure a balanced regard for all that the Dravidian parties have accomplished so far. There is certainly no dearth of criticism attacking the claims of internal corruption and the mass distribution of material incentives like laptops and televisions, backpacks and grinders, and much more. It is easy to take an unfavorable view of these handout initiatives because they are doused with large blown-up images of the leaders, and an almost superficial call for attention. However, looking beyond this popularity contest, there have been monumental strides in ameliorating some of the social and economic concerns of the people. The Mid-Day Meal scheme ensures that every child in a government school is guaranteed a complete and nutritious meal; the Old Age and Widow pension promises monetary compensation of Rs.1,000 every month, the highest in the country. Additionally, there is much evidence to suggest that Tamil Nadu has, by far, the best functioning Public Distribution System in the country (Amartya Sen, An Uncertain Glory: India and its contradictions). 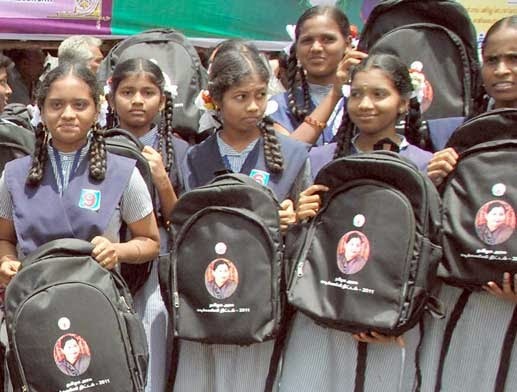 Ultimately, is it just a matter of Amma’s face on backpacks and water bottles, or is it a larger thrust to realize social transformation: a kind of social transformation that ensures basic levels of sustenance for all? At this point, some would argue that there exist many examples of populist movements in India, and that many of these have lost momentum quickly. Akhilesh Yadav, the Chief Minister of Uttar Pradesh, failed in his similar attempt at earning support by issuing laptops to the masses. So what makes Tamil Nadu – and Amma – so special and more successful at this strategy? There are many possible explanations: the DMK and the AIADMK have perfected the model of direct transfers; that is, the voter is the only and the final recipient of the scheme in question. With its long history of political power, these parties now not only have to provide for, but more importantly, they have to cater to, the expectations and demands of the people. It is a constant feedback loop that both reinforces and is reinforced by the actions of the ruling party. It is unlikely that this model can be replicated outside the state of Tamil Nadu. Through all the years since their inception, the two parties are the only parties that have maintained their status quo. The verdict regarding Tamil Nadu’s politics is an ongoing discussion, and there are relevant issues to support both positions. Periyar entered the picture as an atheistic revolutionary; he envisioned a socially just Dravidian state. Today, the DMK and the AIADMK have moved away from this ideal, and are mainly concerned with their image. A popular image equals political allegiance. It is therefore of paramount important to promote themselves, venerate the self, and aggrandize their voters bank. 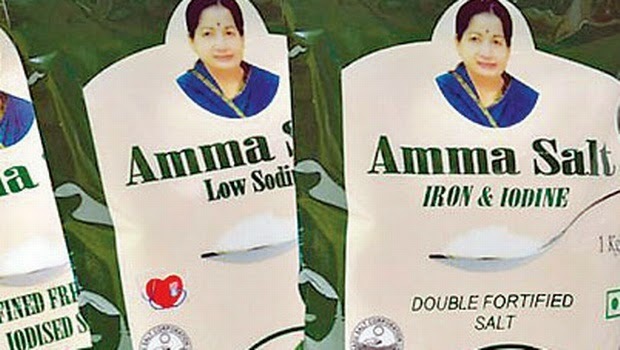 We now proudly present to you the Amma effect! We are on the ground, and as we survey local samples to measure information about their livelihood, we are adamant about the need to control for the Amma effect. Especially as so many of her schemes are endowment oriented, this makes it easier to account for and quantify when one looks at poverty alleviation. She has become entrenched in the welfare of most people in the state, and with each new scheme to either improve urban sanitation, or to subsidize salt, she is most definitely a force to be reckoned with. So, economists and researchers, beware! This is one bias you can’t afford to neglect.